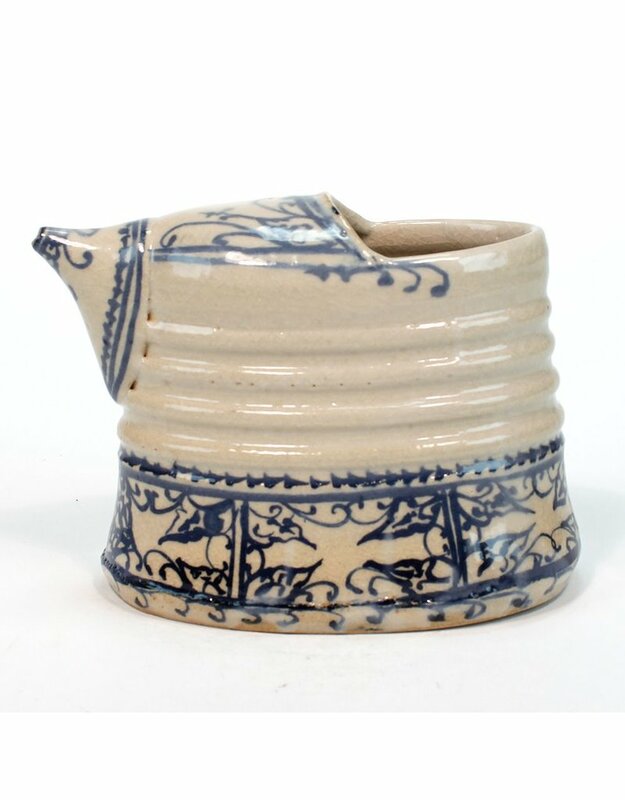 This pouring pot by David Swenson is a wonderful combination of delicate and rustic. 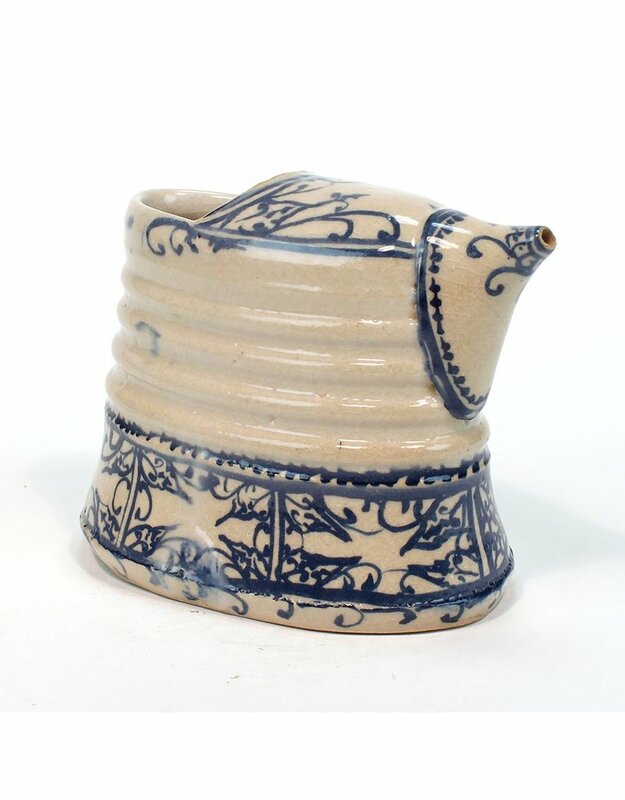 The simple form involves a natural hand hold where your fingers naturally gravitate toward the grooves in the body of the piece. 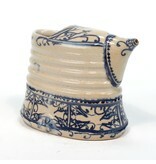 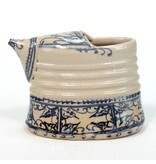 Swenson uses blue underglaze to draw complex designs on the piece which gives the pouring vessel an elegant finish.